Free legal aid Arizona organizations assist and provide legal representation (in some cases) and legal advocacy. Usattorneylegalservices.com has no relationship with the free legal aid programs and low-cost legal help featured on this website. The information provided on this site is intended for your convenience and educational purposes only. Available Monday – Friday, 8:30 a.m. to 5:00 p.m. Staffed by interns and volunteers with over 20 year’s lay legal advocacy experience. The AzCADV Legal Advocacy Hotline Staff Are NOT attorneys and cannot give legal advice. Spanish-speaking callers available. Confidential and safe. The firms and organizations listed below provide general civil legal assistance to low income individuals living on or near these areas. Offers a wide variety of services to victims of a misdemeanor crime committed and charged in the city of Avondale. The services offered at the center include: assistance with filing order of protection, court accompaniment, court information and assistance with restitution. The center is staffed by trained advocates. 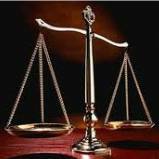 Offers a wide range of legal assistance from consultations to court representation. Free Legal Aid Arizona services are provided by volunteer student attorneys. The availability of assistance is restricted by the amount of students who are currently volunteering. ASU law student volunteers work closely with practicing lawyers to provide free legal assistance to the homeless in the community who might otherwise not have access to legal services. Return from Free Legal Aid Arizona to Home page. Copyright © 2018 USAttorneyLegalServices.com - Free Legal Aid Arizona - All Rights Reserved.